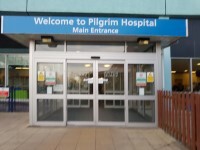 The hospital is situated on Sibsey Road Boston and is clearly signposted from all major routes. The postcode for Sat Nav is PE21 9QS. 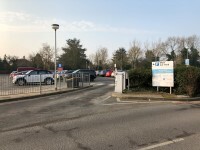 The main car park is located directly outside the main entrance to the hospital. As you enter, please take a ticket from the entrance barrier. 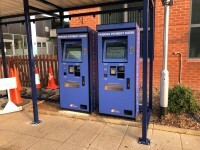 You need to keep your ticket with you and pay at the pay station on your way back to your car. 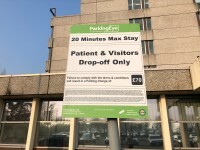 Patient and visitor car parks that are not barrier controlled operate a pay and display system. You can find a space and then purchase a ticket from one of the pay and display machines. All patients, visitors and staff need to park in designated parking spaces or they will receive a charge if parked inappropriately. Please make sure you bring the appropriate change with you as the machines do not accept card payments. 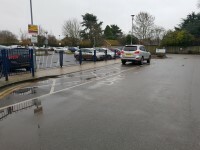 If you are dropping someone off at the hospital there are allocated drop off points, located in front of the main entrance and between A&E and Outpatients. There is a bus stop which is located on Sibsey Road with access to the main entrance. You can use Traveline to start to plan your journey by bus. The nearest station is Boston, which is 1.8 miles away. Walking Route from Station on Google Maps. 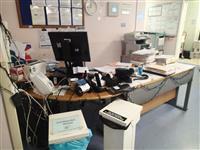 The Patient Advice and Liaison Service (PALS) is located on the ground floor of the main hospital building. The telephone number for the Patient Advice and Liaison Service (PALS) is 01205 446 243. 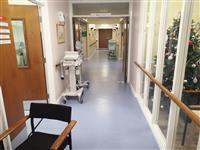 Hospital staff do not receive disability awareness / equality training. You are on Hospital Parking (Main Building). Skip to the next section. 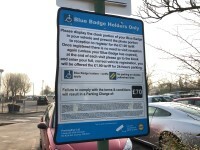 There is/are 10+ designated Blue Badge parking bay(s) within the hospital car park. 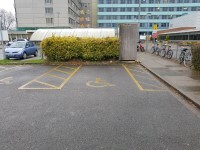 The dimensions of the designated Blue Badge parking bay(s) surveyed are 423cm x 662cm (13ft 11in x 21ft 9in). The drop-off point is located outside the Main Entrance. 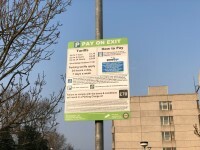 Payment signs are located at the entrance to the car park and throughout the car park. Payment machines are located at the Main Entrance. 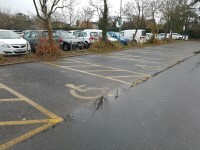 The nearest designated Blue Badge parking bay is approximately 43m (47yd 1in) from the Main Entrance. You are on Getting To (The Bostonian Ward). Skip to the next section. 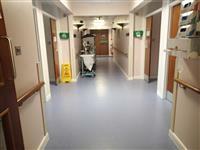 The Bostonian Ward is/are located on the ground floor of the main hospital building. 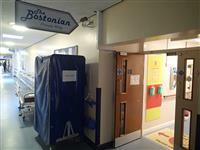 Access to the Bostonian Ward is via the main hospital entrance. 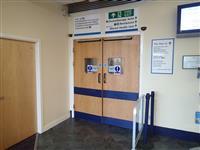 Enter via the main hospital entrance and proceed through the automatic doors to the left of the main reception desk. Continue along the corridor, through the double doors and past the restaurant. The Bostonian Ward is located at the rear of the corridor. There is step free access to the Bostonian Ward. 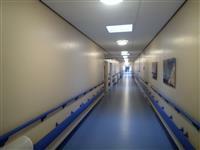 The Bostonian Ward is approximately 160m from the main hospital entrance. 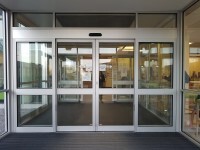 There is a/are manual, heavy, double door(s) between the main hospital entrance and the department/service. The width of the door opening is 162cm. There is a third set of identical doors. 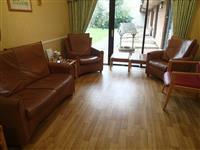 This is a/an Private ward. There is/are 0 bay(s) available. There is/are 18 side room(s) available. There is/are 18 bed(s) on this ward in total. 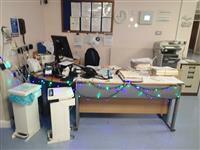 The height of the ward reception desk is 72cm. The side room surveyed does not have an accessible ensuite. The lighting levels in the side room are medium. The width of the door opening into the ensuite is under 75cm. There is not a clear unobstructed turning space within the ensuite. 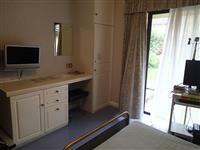 The fixtures/facilities available in the ensuite include; a shower, a toilet and a wash basin. The colour contrast between the walls and the floor in the ensuite is fair. The lighting levels in the ensuite are low. There are not accessible washroom facilities for patients on the ward. 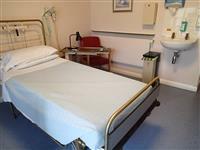 Accessible toilet facilities for visitors are located in the main hospital reception area. 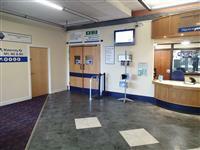 Standard toilet facilities for visitors are located in the main hospital reception area. 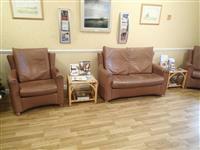 The waiting room / area is approximately 35m from the ward entrance. You are on Washroom (Side Room En suite). Skip to the next section. The washroom surveyed has a shower, a toilet and a wash basin. There is/are 18 washroom(s) of this type in the ward. The washroom surveyed is located inside room 6. There is no additional signage on or near the washroom door. The width of the door opening is 72cm (2ft 4in). The dimensions of the washroom are 166cm x 225cm (5ft 5in x 7ft 5in). There is a/are coat hook(s) 167cm from the floor. The height of the towel dispenser is 125cm. The cistern is close coupled and can act as a back rest. There is no dropdown rail. The height of the toilet roll holder is 82cm. The shower cubicle is accessed via a shallow step. There are standard toilets within each side room. Main Entrance/Green Block link (new tab) - click here.